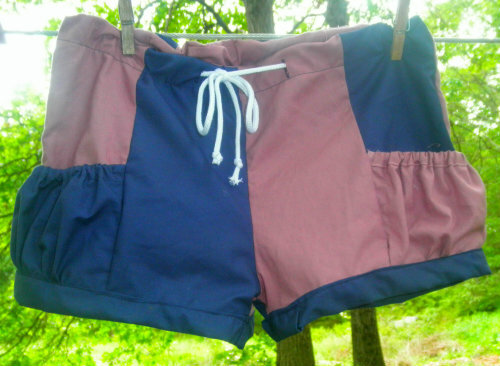 The goal of my second pattern flip was to make a pair of shorts to be donated to Haiti. The village that they are being sent to has requested drawstring shorts for children as well as pillowcase dresses. For those who haven't heard yet, June's flip this pattern sew along project is Elegance and Elephants bubble pocket shorts, which features an elastic waistband. 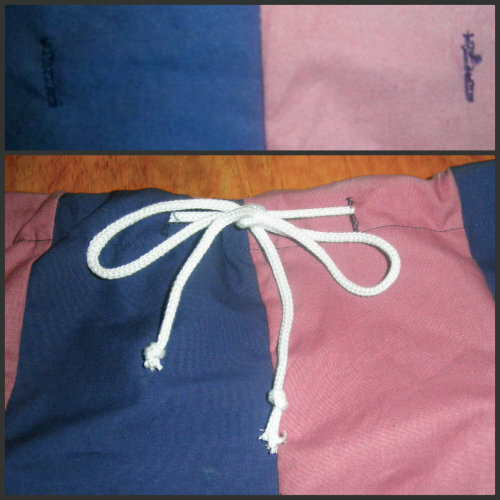 Switching things up to make it work with a drawstring is a simple task that will only take an extra minute or two. Buttonholes. That's It. Sew two small buttonholes a few inches apart centered over the front of the waistband. Then finish the waistband as you normally would and string the drawstring through instead of elastic. Pull the ends through the buttonholes and your all finished. I hope others will be inspired to sew for the children in Haiti. Shorts and Pillowcase dresses can be sent in until then end of June, and if you happen to use the Bubble Pocket Shorts like I did, be sure to add it to the Flip This Pattern Linkie before June 20th. If you missed my first flip of this pattern you can see it here.